We’re a group of established GPs with long experience of helping local people in Dorset. We’ve set up a private GP service because it gives us the opportunity to offer patients the kind of GP service we believe in: thorough, efficient and prompt general practitioner care. 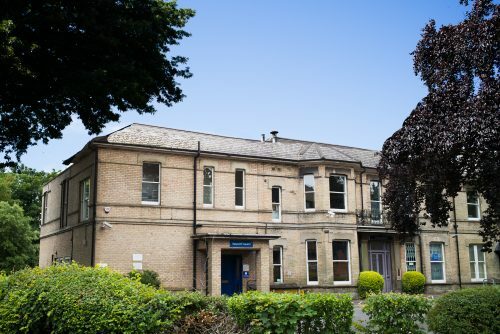 The Dorset Private GP service is based at the Poole Road Medical Centre building. We also have on site a pharmacy, private children’s therapy team, adult physiotherapy, chiropractic and osteopathy services, which we can refer patients to. We believe that what patients need is personal attention from a doctor who has time to focus on you. It’s the best way to identify any health problems you may have, the best way to understand why they’re happening, and the best way to select the most appropriate treatment. You’ll enjoy a personal GP service from an experienced family doctor. You’ll get a 20 minute face to face appointment. You can request a longer, 40 minute appointment if need be. You’ll pay an affordable one-off fee for any service you use. You’ll be able to access services that aren’t available on the NHS. You can use our on-site pharmacy for any medicines you need. You can park at our clinic, making access easy and quick. We have launched Dorset Private GP with a small team of hand-picked highly experienced medical professionals, all of whom have many years’ experience working in the NHS. We plan to grow the team as our service becomes more established in the area. Tim has spent 23 years practising as a GP in the Dorset area and 20 years as a partner at Poole Road Medical Centre. He enjoys clinical medicine and family practice, but does feel constrained by the limits of NHS general practice. He believes in giving a better service to patients through longer appointments. Special interests include both paediatric medicine as well as the care of the frail elderly. He has a wide experience of HIV in primary care. Jon has been a partner at 7 Poole Road for 10 of his 26 years practising as a doctor. His skills in surgery were honed during his time studying cardio-thoracic surgery in North London, and he performs minor surgery removing lumps and bumps at Poole Road Medical Centre. He is happy to discuss the removal of any cosmetic lesions or those causing concern. Our practice manager Steve has been part of the team at 7 Poole Road for 9 years. With a background in the financial industry, he understands the constraints of the NHS and the benefits of private practice for some patients. He is keen to work with patients to improve their experience at the clinic. Lucy qualified from Imperial College London in 2010 achieving BSc Honors in Neuroscience and Mental Health, Merit in Psychiatry and Distinction in Surgery. She then went on to train on the Isle of Wight and has been a GP since 2015. She holds dual membership of the Royal College of General Practitioners and the Royal College of Physicians. She has a special interest in Neurology (Migraine, Parkinson’s Disease and Multiple Sclerosis), and in Elderly Age Mental Health (Dementia). Natasha qualified from Southampton Medical School in 2010 and has worked at Poole Road Medical Centre since 2015. Since qualifying she has worked in the Dorset area aside from a year in Australia where she further developed her skills in a different healthcare system. She enjoys the wide variety of general practice medicine and gives well-considered, intelligent medical advice but is not afraid to seek a second or specialist opinion when required. Melissa has worked in a variety of business sectors including insurance, banking and real estate. In her role as reception manager at Dorset Private GP she particularly enjoys the customer care aspect and strives to ensure that patient experience is of the highest standard it can possibly be. Melissa shares in our joint aim to evolve the clinic into a place of excellence for all patient’s medical, health and wellbeing needs. Check availability and book your appointment instantly.